First, embedded in the DNA of CMBO, is our charge of keeping our finger on the pulse of migration. We do this through annual counts and censuses of wlidlife, starting with the Cape May Hawkwatch in 1976, and including the Monarch Monitoring Project (est. 1990), the Avalon Seawatch (est. 1993) and the Morning Flight Songbird Count (est. 2003), and a host of other conservation-driven studies. Second, we are training the conservation leaders of tomorrow, today, through our seasonal internships, George Myers Naturalist position, and year-round Associate Naturalist programs. Previous interns have gone on to run non-profit organizations, become community leaders in environmental justice, and to carry the torch of spreading the conservation ethic to future generations. Finally, because we are located a tank of gas from 60 million people, we throw a great party to raise awareness for wildlife and wildlife habitat conservation! Our flagship festivals, the Cape May Fall Festival and Cape May Spring Festival, bring thousands of visitors to Cape May each year to celebrate the magic of migration at one of the greatest migration hotspots on earth! Each May our World Series of Birding engages over 300 participants from all over the world and raises hundreds of thousands of dollars for bird conservation, while highlighting the amazing diversity of birds across the Garden State. Funded almost entirely by the support of an international membership, two facilities serve our members’ needs and interests. There are few places in North America which have been birded longer or have more birding advocates than Cape May, New Jersey, one of the planet’s most celebrated migratory junctions. An array of habitat types and a wealth of protected natural areas make Cape May and the entire Delaware Bayshore a birding destination for all seasons. Wind and geography conspire to direct millions of migrating hawks, seabirds, shorebirds, songbirds, butterflies, and dragonflies here every autumn. These workshops are a fun and attentive way to visit one of the best birding and natural history places on the planet. From our cadre of in-depth birding excursions to a celebration of butterflies, dragonflies, and all things wild, you’re sure to find an offering that catches your eye. All of our workshops are led by experts in their field: world-class birders and naturalists that have often written the guides we all rely on. Our intimate approach to enjoyment and teaching will provide the opportunity and information you need to grow in understanding and appreciation – the leader-to-participant ratio is 12:1 or better. While the majority of time is spent in the field watching birds and nature, some of the workshops will incorporate an indoor session – a chance to demonstrate and discuss identification, techniques, conservation, and ecology. Along the way, you’ll meet like-minded people and are sure to form lasting memories and friendships. From beginner to advanced, all are welcome! All the while, your registration fees are helping support the mission of New Jersey Audubon’s Cape May Bird Observatory. Details and descriptions of all our preregistration programs are available on the registration site (Special Field Trips in brown and School of Birding Workshops in blue). All special field trips require advance registration, and the number of participants is limited to ensure the best experience. Upon completion of registration, you will receive a confirmation email that also contains attached details and directions – please look all the materials over and retain for your records. Sign up early to secure your spot! NEW JERSEY AUDUBON AND CAPE MAY BIRD OBSERVATORY MEMBERS RECEIVE A 25% DISCOUNT ON ALL SPECIAL FIELD TRIPS AND WORKSHOPS – please make sure to indicate you are a current member at registration checkout. Not a member – join now at FeatherEdge Optics, by contacting the Program Registrar at 609-400-3864 , or in person at the nearest NJA center. CMBO’s Weekly Walks are regularly scheduled programs and activities, led by our stellar Associate Naturalists and professional staff, that take place at all the best birding and natural history locations around Cape May. These walks change throughout the year, focusing on the best of each season, whether that is breeding hotspots, winter visitors, or the spectacle of migration. Normally two or three hours in duration, these walks are sure to fit nature into your busy schedule. All experience levels are welcome, and those marked E-Z Birding and A Bird Walk for All People are especially geared for beginners or a relaxed pace. 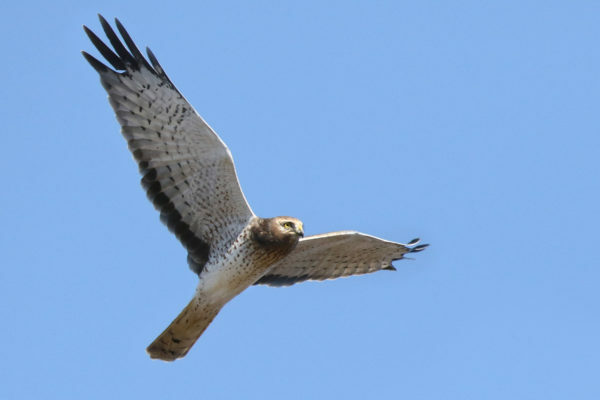 A full schedule of Weekly Walks is published seasonally in The Kestrel Express, along with our Special Field Trips, School of Birding Workshops, Festivals, and other events. NO PREREGISTRATION is necessary for our weekly walks – just show before the designated start time. Children age 15 and younger are free. Although children accompanied by parents are always welcome, walks that are especially Family-friendly are noted. New Jersey Audubon and Cape May Bird Observatory members receive a discount on weekly walks, as indicated in the individual walk descriptions. Not a member? Join now at FeatherEdge Optics, by contacting the Program Registrar at 609-400-3864 , or in person at the nearest NJA center. These walks meet at locations highlighted on the CMBO Bird and Butterfly Map of Cape May County. Bring binoculars (loaners often available if you don’t have any), field guides, bug repellent, sunscreen, and drinking water. Dress for prevailing weather and protection from sun, heat, cold, wind, rain, and insects according to season. Most of our weekly walks involve walking a mile or more on varied terrain, such as asphalt, boardwalk, gravel, beach, and dirt (sometimes muddy) paths. For more accessibility for those with limited mobility, contact the Northwood Center at 609-400-3868 . Note: Programs may be cancelled due to difficult/unsafe weather conditions. Cape May Bird Observatory’s Special Field Trips offer you a chance to experience the natural wonders of the Cape May area alongside our Associate Naturalists. These outings take our weekly walks a step further, with extended opportunities for viewing birds and other wildlife. They are single day events (two – six hours in length) that target famous local hotspots and are timed to capture diversity and abundance during the breeding, migratory, and winter seasons. Join us on one of these exciting excursions! This guide to the Business Members of New Jersey Audubon’s Cape May Bird Observatory and Nature Center of Cape May can help you plan your stay or visit. The businesses who support our organization help ensure that the natural treasures you enjoy here, remain. Whether you are familiar visitors, a first-timer, a resident, or business-owner, it is important to let these businesses know that we appreciate their support. Many of these businesses offer discounts to current New Jersey Audubon / Cape May Bird Observatory members. This listing is offered as a service and includes lodging, restaurants, shops, tours, and activities for varying tastes and budgets. Please contact the businesses directly for rates, reservations, and discount policies. All listings, including discount policies, are subject to change at the discretion of the business. Interested in having your listing on our website or in being featured at our Cape May locations? Open mid-April through December the Montreal Beach Resort is a resort for all seasons. Come and enjoy all the amenities of your Inn by the sea in historic Victorian Cape May – the birding capital of North America! Discount:Ask about our birder discounts. Beachfront accommodations with spectacular views in the heart of the historic district. Warm hospitality, attentive service, and immaculate accommodations. Continental breakfast. Free WIFI. Enjoy birding from the upper deck overlooking preserved Sewell Point. Modern, family run motel with outdoor pool, A/C, CATV, phone, refrigerator in all rooms. Fully equipped efficiency suites. Centrally located to beach, harbor, and center of town. A favorite spot for birding tours and groups. The Capri is a family owned motel that prides itself on true seaside accommodations. We offer one room efficiencies, suites and townhouses. We have a pool, ping-pong, shuffle board, BBQ grills, daily maid service and free Wifi. We are located just across the street from Cape May’s beautiful beaches. It is just a short walk to the boardwalk and mall area. In season there is a free trolley. Discount:25% off regular rates for Sunday-Thursday; no minimum stay. Excludes weekends and summer season. May not be combined with any other offers or packages. Cape May’s largest oceanfront resort with guestrooms, efficiencies, suites, townhouses and banquet facilities. Large groups welcome. Outdoor pool, indoor pool with whirlpool. Hemingway’s Restaurant serves breakfast, lunch, and dinner; full service bar. Discount:$10 discount to current CMBO/NJ Audubon members. Conveniently located just off the Garden State Parkway minutes from Cape May and CMBO’s Goshen Center. Close to all the birding hotspots in Cape May and Cumberland County. Free WIFI, 2-room suites, efficiencies, CATV, phone, refrigerator, microwave, A/C, heat in all rooms. Large outdoor pool. Discount: 10% discount to birders. Nestled on a quiet, unspoiled beach in the nation’s oldest seaside resort, steps from one of the worlds most beautiful beaches. The best location for your birding vacation! Discount:Ask about our birder discounts, AAA and Military discounts. Beautifully appointed, oceanfront and oceanview motel rooms, suites and townhomes, AAA, cleanliness guaranteed, and smoke free. Free WIFI, continental breakfast in season, new pool with waterfall, free on-site parking, just minutes from Cape May Bird Observatory and prime birding spots, shopping, dining & area amenities for singles, couples, families, birding tours and groups at affordable prices. Special Offer: Be one of the first 50 reservations & receive a free pass to CMBO’s regularly scheduled bird walks. Across from the ocean on the west end of town. Within walking distance of shops, restaurants, and birding hot spots. Motel rooms & efficiencies all with A/C, heat, CATV, mini-refrigerators. Swimming pool & free wireless. Discount: 10% off-season discount (Sunday-Thursday) to CMBO/NJ Audubon members. Restrictions apply. Discount:5% off purchase to current CMBO/NJA members – except holidays and peak season. Cape May’s Ocean Club Hotel provides the perfect blend of breezy elegance and comfort. This boutique hotel boasts lush bedding, private balconies, custom furnishings and a tranquil atmosphere. Sip a cocktail poolside, relax on the spacious sun deck or bask in the sunshine on the beach. Situated across the street from the beach, this stylish pink hotel with arched verandas is within 1 mile of downtown and 3.8 miles from popular birding destination Cape May Point State Park. The West Cape Motel is the closest motel to the Cape May Migratory Bird Refuge, Cape May Bird Observatory’s Northwood Center, the Cape May Point State Park and Sunset Beach attractions and located in the picturesque Victorian Cape May resort area. Birders are welcome! Be sure to bring your binoculars to watch rare birds soar across the sky. Call to book today! Recipient of the NJ Governor’s Diamond Award as a Cape May destination point. A national landmark hotel, circa 1882, we’ve gone green with energy-saving and environmentally friendly enhancements. With 21 individually decorated rooms, we are one of only five remaining original Victorian hotels. Nationally acclaimed, the adjoining Mad Batter Restaurant, is a must for breakfast, lunch, dinner, or cocktails with daily happy hour and live music. Discount:Ask about seasonal and weekday specials. The Queen Victoria proudly supports CMBO. Thirty-two inviting rooms and suites all with private baths, many with whirlpool tubs, and some with fireplaces. Complimentary Early Bird breakfast included. Close to beaches, shopping, dining, and birding. Cape May’s #1 Inn (Trip Advisor), a Top Ten Most Romantic Inn (American Historic Inns), and member of Select Registry™ Distinguished Inns of North America. Open:Year Round, weekly or weekends. Four beautiful units (1 to 3 bedrooms, sleeping 2 to 8) all in Cape May. Two oceanfront, others with water views, one overlooking Cape Island Creek. All the amenities of home (two units include a pool) – central A/C, heat, CATV/Blueray, wireless internet, and fully equipped kitchens. Available weekly in Summer or weekends all year ’round. The agents at Chris Clemans Sotheby’s International Realty not only offer a wealth of real estate experience but a true love of the Jersey Shore. We are dedicated to professional service in the nation’s oldest seaside resort. Discount: Many of our private rentals offer discounts to members. Full service and family owned real estate company. Whether you are looking for a place to stay during migration or looking to purchase, we have the home for you! Specializing in vacation rentals and sales in the Cape May area. We offer drive-thru check-in/out, credit card acceptance, 24 hr. reservations, and a full-time rental team to accept your call. Enjoy a delicious breakfast buffet, relaxing lunch, or a delectable dinner menu. Special dinners include Wednesday Prime Rib, Thursday Land and Sea Buffet, and daily specials. After a day of birding treat yourself to an exciting Cape May dining experience. Fins mixes an exciting vibe with a relaxing atmosphere and uses that backdrop to elevate their outstanding cuisine. Whether you prefer to sit at the bar, or relax and enjoy your meal in one of the dining rooms, it is impossible to ignore the centerpiece of it all – a brilliant 600 gallon saltwater fish tank! Meet me at Harry’s for breakfast, lunch, or dinner! Full-service bar, great good food all day long, a view of the ocean, and a staff that’s ready to make your visit memorable and fun. Daily specials. We are a seafood processing plant that is proud to support the important work of New Jersey Audubon’s Cape May Bird Observatory and the Nature Center of Cape May. Open:Open year-round; weekends only January thru March. Serving breakfast, lunch, and dinner, Mad Batter has been a leader in the growth of Cape May and now this historic establishment is leading the way to a greener future. Visit the website for more details. Roll out of bed for one of the best breakfasts of your life – Chesapeake Bay Benedicts, omelets, oatmeal pancakes, and more. Daily happy hour, live music with half price drinks and guests of the Carroll Villa Hotel receive 30% off dinner! Open:Open every day, year round. Discount:Show your current CMBO/NJ Audubon membership card for 10% discount. The best sweet treats at the beach – creamy, whipped fudge (stop by Washington Street store and watch it being made), salt water taffy, premium chocolates (including sugar free), ice cream, candies, and souvenirs. We ship around the world! Cruise the back bays, harbors, and sounds of Cape May aboard the 38-passenger Osprey and view migrant shorebirds, salt marsh nesting colonies, waterfowl, loons, waders, and rails. Experienced naturalists and guides on board. USCG inspected. Group rates available. Free on-site parking; toilet facilities on boat. Discount:Visit our website for specials and coupons. Explore the beautiful tidelands around Spicer Creek and Cape May Harbor. Great wildlife viewing from a new perspective. Watch herons, egrets, Osprey feeding their chicks, shorebirds along the mudflats in an area with little or no current or boat traffic. Kayaks are stable and easy to paddle; instructions to get you started. Kayaks seat 1 to 3 people so bring the family. Rentals by the hour or come on our guided kayak trips! Wildlife-friendly landscaping, nature programs, native plant sales. For over 100 years, Burke Motor Group has been South Jersey’s most trusted family of dealerships. Our new and pre-owned Subaru, Volkswagen, Buick, GMC, Chevrolet and Cadillac dealerships and service centers offer customer service that’s a step ahead of the rest. That’s why it’s better at Burke!